For teens, getting behind the wheel is a right of passage—and the stress of having a new teen driver is a right of passage for parents as well. Although many mom and dads have prepared themselves for the process of teaching their teens how to drive, what they may not know is that driving safety lessons start way before their kids are old enough to take the keys. 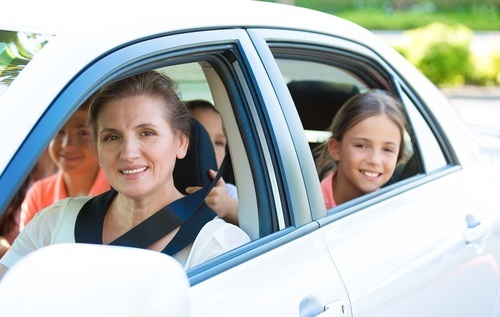 Being a role model while driving is important for parents through all stages of their kids’ lives, if they want to raise safety-conscious drivers. Here is why being a role model matters so much for parents. Your kids are watching and learning. Your kids always have an eye on what you’re doing, and the time you spend behind the wheel is no exception. Although your kids may not be old enough to drive, they are carefully observing your behavior while you’re in the car. If you tend to get aggressive with other drivers, exceed the speed limit, and blow through yellow lights, then your kids will see that as the normal way to drive. That behavior will be ingrained in your kids’ minds when they start to drive, and breaking them of those habits will be challenging. Model the kind of driver your want your kids to be when you’re behind the wheel, and they will be more likely to follow suit. Teens respect parents who practice what they preach. It’s difficult to convince teens that they should limit the passengers in the car, stay off the phone, and stick to the speed limit when you don’t do the same when you drive. Lecturing your teens about safe driving will sound empty if you’re asking them to follow safety rules that you don’t. Show your teens that safety matters by demonstrating your own commitment to following the rules of the road. One way to demonstrate the importance of safety to your kids is to install Pulse in your car. Pulse Protects deters rear-end collisions by making your third brake light pulse, so it is more visible to other drivers. Visit our website to learn more about our innovative safety products. [Pulse] is affordably priced, and since safety is one of our main concerns, we find a tremendous value in offering thisRead More..."